Course Description: Provides specialized training to law enforcement, the military and private security on the threats of international, and domestic terrorism and extremism. Emphasis is placed on introducing the student to the definition, operational methods, current operations and recruiting methods of terror organizations. We will discuss the use of social media in the propaganda and the specific types of people and special demographic groups, they target to join their cause. We will discuss the philosophy and methods of combating their message at the community level. Students will take part in a “red cell” capstone event where they will see and act as both a terrorist and a protector. Course Description: This program provides specialized training on the threats from “an inside” assailant, intelligence agent or attack. Primary students are law enforcement; private investigators, corporate risk mitigation and HR departments, executive protection agents, private and contract security guards. We will introduce students to the threat of workplace violence, including the risk of domestic violence spillover; and the threat of organized crime within an organization. Special emphasis will be placed on corporate, industrial and financial espionage, to include current operational methods and operations, and the use of social media for recruiting by government, corporate and private organizations attempting to influence internal policy’s, acquire inside information or sabotage machinery, projects or key infrastructure. Course Description: This course meets the regulatory requirements of the Virginia Department of Criminal Justice for agents continuing education under the 32I – Personal Protection Specialist In-Service program. Mandated course time is 8 hours of job related training, and our program uses that 8+ hours to cover 4 primary learning objectives with special emphasis on threat assessment fundamentals; discussing and demonstrating new technology such as (Cyber, Drone) that have a direct application in security and close protection operations; discussing changes to laws & regulations; and reviewing and demonstrating new protective procedures and techniques. Updated: 1 Feb 2019: This three day, 30 hours, program will cover 13 learning objectives directly related to EP operations and is designed as an in-service refresher/recertification course reintroducing agents to the hard and soft skills or procedures of protective operations. This program also serves as an introductory program for students to the critical skills and procedures needed to support, or conduct, protective operations. Including basic physical security, protectee movement & mobile security procedures, best practices for daily operations including advance operations and planning, threat assessments and the threat assessment process, Threat Intelligence, both as part of a detail and as a single assigned agent. Description: Five days, 50+ hours of specialized training to law enforcement, private investigators, corporate executive protection agents, private and contract security guards who will conduct or support dignitary/executive protective service operations for private clients, former elected officials or political appointees, former members of the court and corporate executives who may be potential targets of terrorism and/or criminal acts to include domestic violence and stalking. 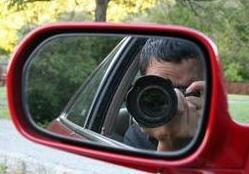 Special emphasis is placed on the integration and cooperation between private investigators and security with law enforcement during joint operations. Course Description: This five day 50+ hour program introduces the student to the critical fundamental skills of self-defense and the tactics and skills to defend the principle. Emphasis is placed on introducing the student to the techniques of de-escalation, non-lethal fighting skills/pain compliance, and the proper use of deadly force. Agents must demonstrate their ability to properly employ de-escalation techniques and adhere to the use of force continuum. Students will be introduced to disarming techniques, non-lethal takedowns, and other self-defense methods. Armed training will focus on the use of the side arm to engage a close-in threat to the student’s principle as a single agent or part of a detail. Course Description: This three day, 30+ hour program introduces the students to the critical and basic skills or procedures required to recognize the elements of the attack planning process when directed against the protectee and to conduct counter-surveillance operations. Students are introduced to the importance, and methods of surveillance (Drone, ELINT, SIGINT, HUMIT) used to target and prepare an attack on the protectee, and to prepare surveillance detection & counter surveillance plans. Students will conduct CS/SD operations to support, or conduct, short-term dignitary/executive protective service operations. This three day, 30 hour + program introduces the student to the critical fundamental skills or procedures for drivers assigned to a protective detail. Emphasis is placed on introducing the student to threat assessments, vehicle selection, maintenance and security, advance work & transportation planning IAW the threat assessment and operation of a vehicle under real-world scenarios and situations. Course Description: This two day, 20+ hour program introduces the student to the critical emergency medical skills or procedures for agents assigned to a protective detail. Emphasis is placed on introducing the student to triage and reaction procedures, and the legal implications of rendering aid. This course addresses the most common low threat medical scenarios as well as the most common life strengthening medical emergencies. 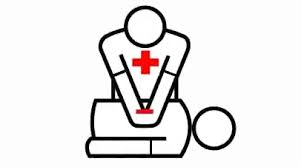 Agents will also complete or recertify CPR, AED and basic first aid. Updated 1 Feb 2019: This program provides specialized training to students who will conduct or support dignitary/executive protective service operations as a single agent or as part of a larger protective detail, with emphasis placed on the critical, basic and advanced foundations of protection and the interoperability of private security with law enforcement. The methodology is based on the US Secret Service concept of security in depth and further refined using the unique techniques and procedures of successful private and corporate executive protection programs.